Brandberg Rest Camp lies in the centre of Uis. 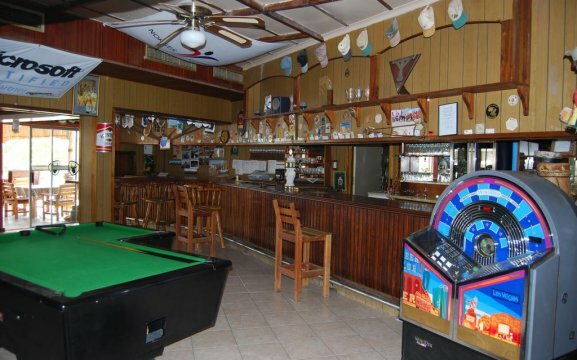 It features a swimming pool, bar, restaurant and comfortable accommodation. With Brandberg being the highest mountain in Namibia, it is standing at 2573m above sea level and can be seen from a great distance. 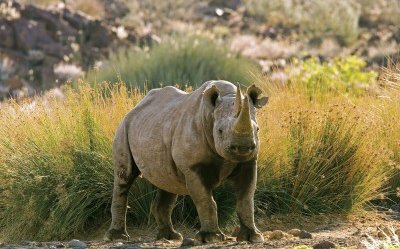 It is known for its unspoilt beauty and free roaming wildlife such as Desert elephant, mountain zebra, springbok and kudu. Close-by we have a service station, grocery store with basic food stuff, bottle store, internet café and a curio shop. We also have conference facilities and a shuttle service. 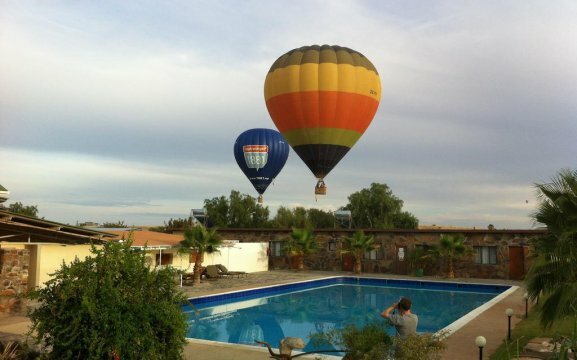 Our restaurant serves breakfast and light lunches during the day and a 3-course dinner. 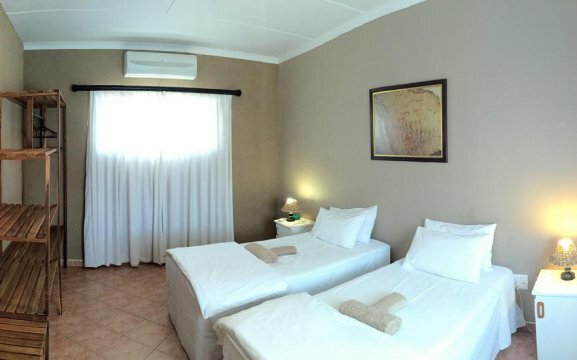 Brandberg Rest camp accommodation comprises in 4 rooms, 10 self-catering chalets and 10 campsites. 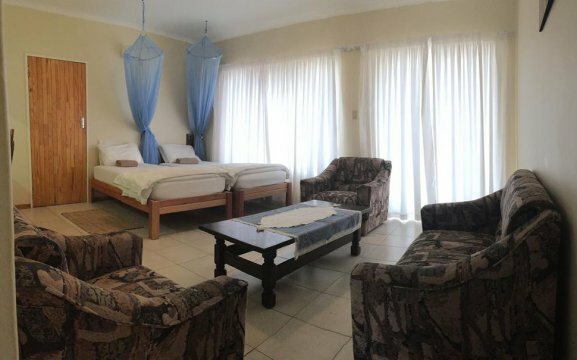 Each room is spacious and en-suite with lounge, kitchen, air-conditioning, mosquito nets and tea/coffee facilities. 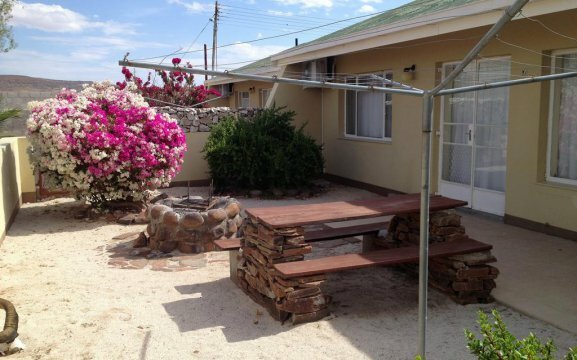 The self-catering units have a fully equipped kitchen with standard double rooms and can accommodate up to 6 people. 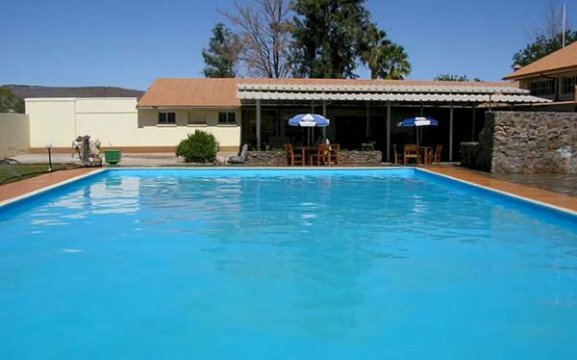 The campsites and caravan sites have electricity points and a communal shower. 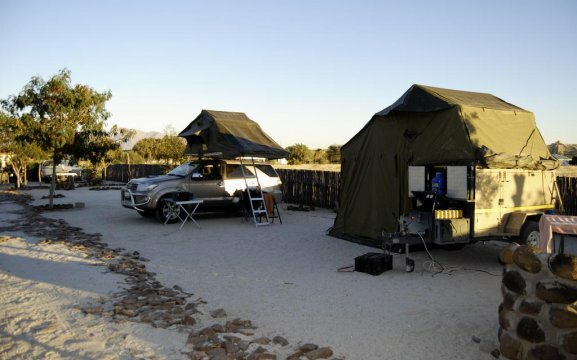 At Brandberg Restcamp we offer a few activities, there are many things to see in the area including hiking, sundowner trips to the Uis Tin Mine, quad bike routes and self-drive tours to the White Lady Bushman Paintings, Petrified Forest, Twyfelfontein, Valley of the Organ Pipes, Spitzkoppe, Doros and Messum Craters. 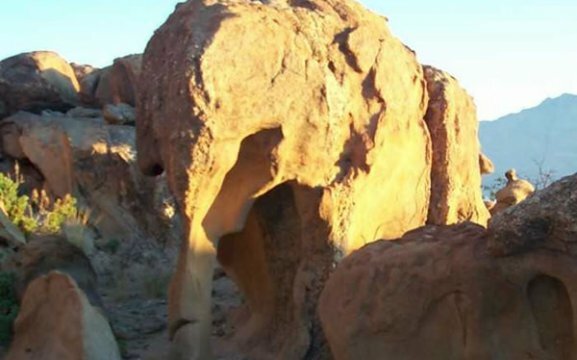 We can arrange guided Desert elephant tours where giraffes and rhinos can be seen. We can also visit the Uis Tin Mine, where guests will see rough Quartz and Amethyst. 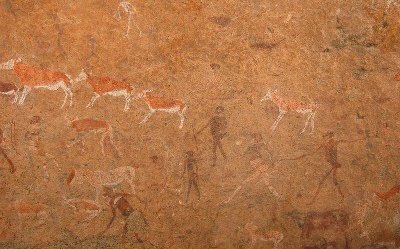 The White Lady is the main attraction with more than 45 000 rock paintings in the area of over 2 000 years old.